Hose is reinforced 2 ply PVC with Stainless Steel over-braid. 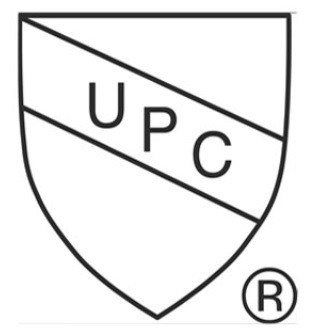 Hose is IAPMO UPC Listed and NSF 61/9,Manufactured by in the USA. Eight-sided, hydraulic triple crimp with smooth edge.Burst-test pressure exceeds 2,5000 psi Power Cord UL listed 6' 16/3 SPT-3 13A-125V NEMA 15-5 Brass Elbow is Lead Fress Wire connectors For Copper Only UL Listed For Pressure Type Wire Connector For Solid and /Or Stranded Wire Temperature Rating 105°C (221°F) 300V Or 600V Maximum Building Wire Plastic Push Button Connector Fits 1/2" Knockouts Hose Clamp #16 Clamp 3/4" to 1 3/4"